At Fay Moore: I Want To Be a Writer, we are fortunate to have published authors share insight into how to move forward as writers. Today Jim Denney, author of Writing in Overdrive, has been kind enough to offer some advice in his second appearance here on the blog. I love to write. I begin writing every day, almost as soon as I tumble out of bed. Writing is not merely my daily habit, it’s something I can’t wait to begin. But I haven’t always been this way. 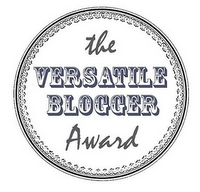 When I was in my twenties, writing was a chore. I wanted to write, but I resisted and procrastinated and made excuses for not writing. It wasn’t until I turned thirty that I began building a daily habit of writing. Today, I can’t imagine going all day without writing. It’s actually more difficult for me not to write than to write. If you struggle with resistance and procrastination, if you want to write but find it hard to drag yourself to the keyboard, I know how you feel. I’ve been there. And I want you to know you can learn to love writing and make it your daily habit. But before writing becomes your love, it has to become your discipline. Begin by viewing writing as your profession—even if you have a non-writing day job. Stop calling yourself an “aspiring writer” or a “wannabe writer” or a “weekend writer.” Tell yourself, “I’m a writer,” period. Once you accept the fact that you are a professional, you will begin to treat writing as a profession, not a hobby. Now that writing is your profession, recognize that you are your own employer, your own boss. And part of your job as your own boss is to get yourself to work every day. No one else will do it for you. You have to set regular, working hours for yourself, and you have to show up for work on time every day. As the boss, you must be ruthless with yourself about keeping your writing time inviolate. When building a habit, it helps to write at the same time and place every day. Your unconscious mind learns to associate that time, that place, with the creative process. Whether you write a desktop computer in your office, on a laptop computer in your secluded garden, or in longhand in a notebook at a café, build a daily habit. You may say, “I’m so busy with my job and my kids that I only have fifteen minutes a day to write. What can anyone accomplish in fifteen minutes a day?” Well, if you write every day without fail for fifteen minutes a day, you can accomplish quite a lot. Fifteen minutes a day adds up to 91.25 hours per year, or the equivalent of more than two forty-hour work weeks. That’s a lot of writing time. And by writing every day, even for just a quarter hour, you will boost your creativity enormously. You’ll remain focused on your novel, your story, your characters, and your goals every day. You’ll find you are thinking about your story when you wake up, when you’re in the shower, when you drive to work, when you’re at lunch, when you drive home, and before you go to sleep. That added focus on your story magnifies your productivity and creativity in your fifteen-minute sessions. You may find yourself feeling so inspired that will keep writing for thirty, sixty, ninety minutes or more. And you’ll build some excellent daily writing habits in the process. Most important, you’ll build a deep love for writing that will carry you through the rest of your life. Build a daily habit of writing—and watch writing become the dream job you love. Jim Denney has written more than 100 books, including the Timebenders science fantasy adventure series for young readers—Battle Before Time, Doorway to Doom, Invasion of the Time Troopers, and Lost in Cydonia. 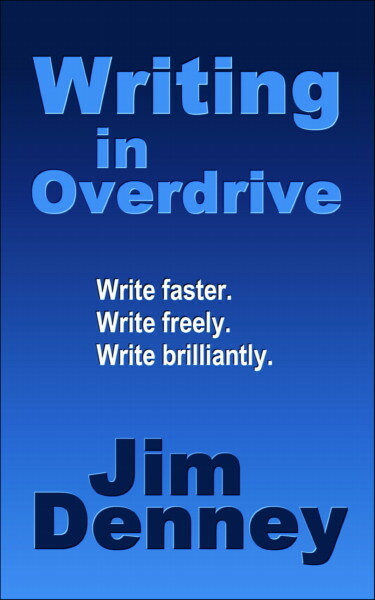 His latest book for writers is Writing in Overdrive: Writer Faster, Write Freely, Write Brilliantly. A veteran of both traditional and indie publishing, Jim is a member of Science Fiction and Fantasy Writers of America (SFWA). Follow Jim on Twitter at @WriterJimDenney. He blogs at http://unearthlyfiction.wordpress.com/. I loved this piece and it was just what I needed to hear! Thank you!